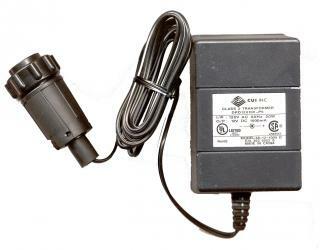 110-volt AC outlet plug 12-volt DC unregulated power supply for Unicorn, Pegasus, Phoenix units with its own built-in battery charging circuit. NOTE: This is not meant to be connected directly to a battery without a charging and regulator circuit. Please contact support for availability information.